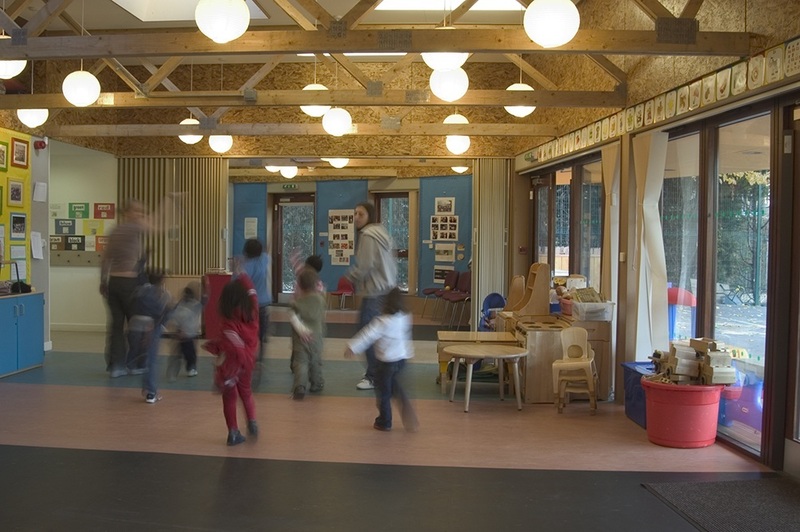 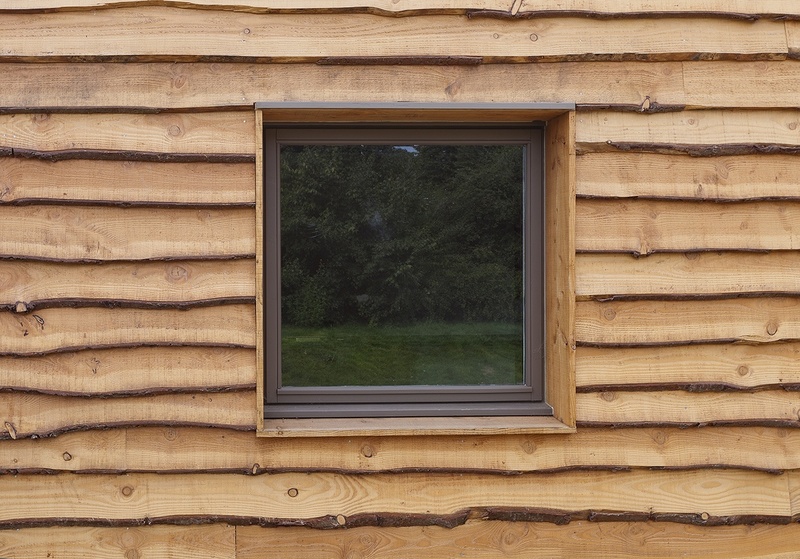 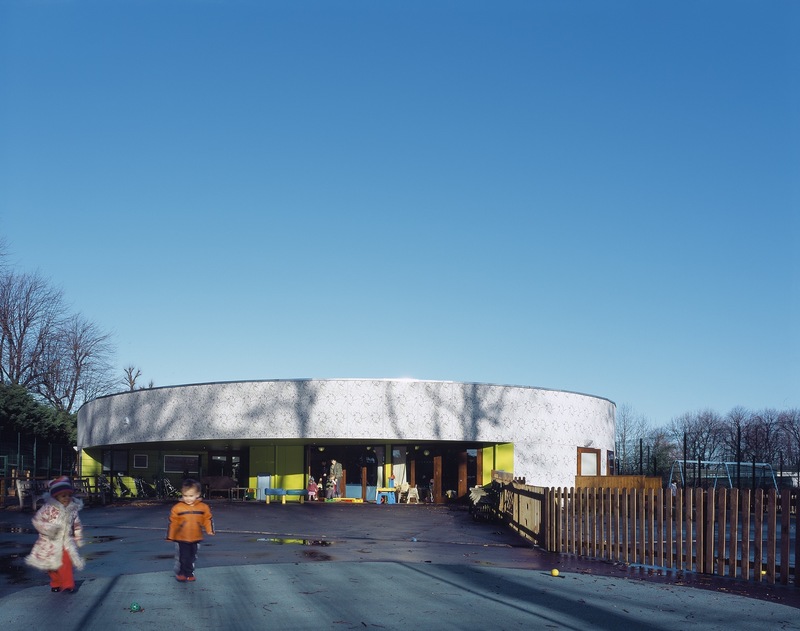 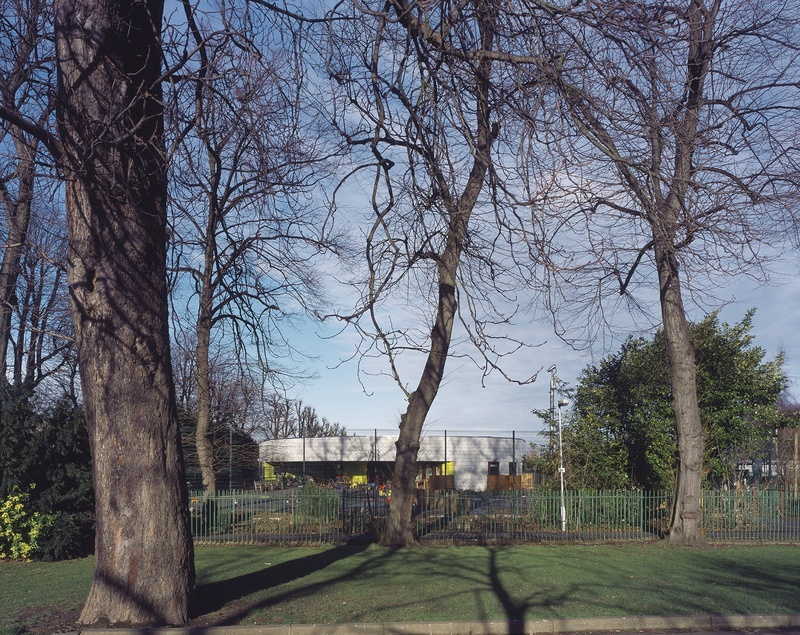 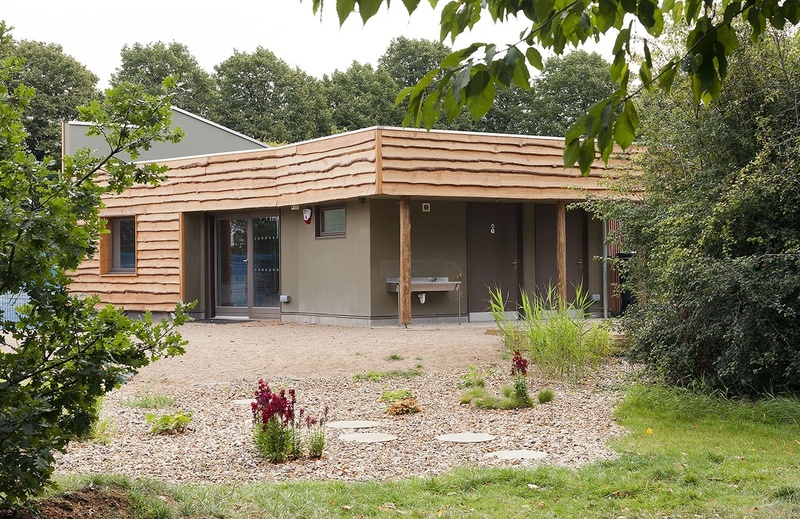 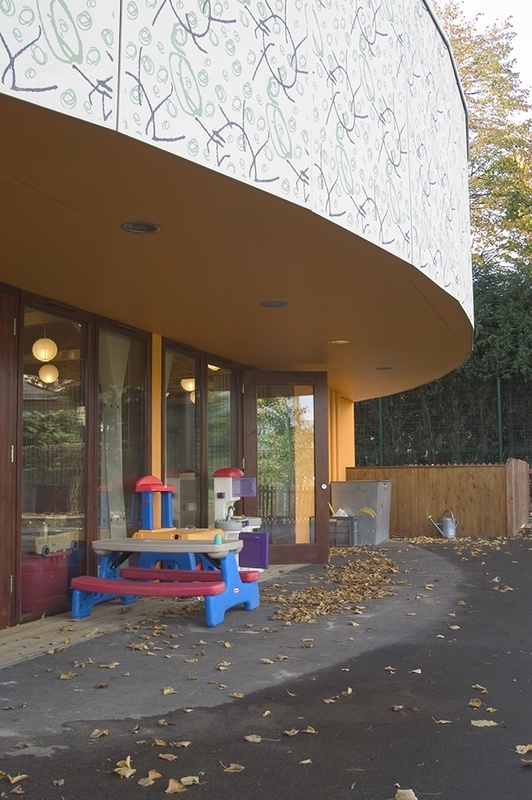 The Lloyd Park Centre is a striking new building in Walthamstow, London, home to an independent parent led children’s centre and nursery. 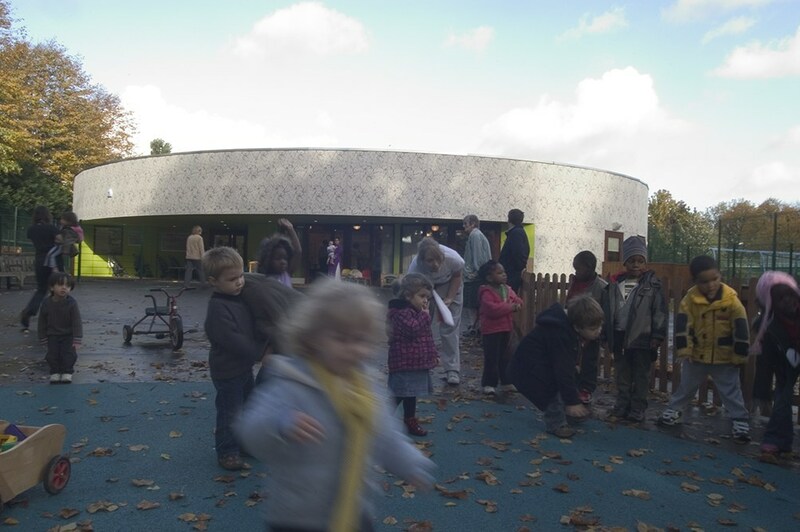 Conceived as a ‘pavilion in the park,’ the rounded building allows outdoor access from most rooms and contains incisions within its form to create covered play areas. 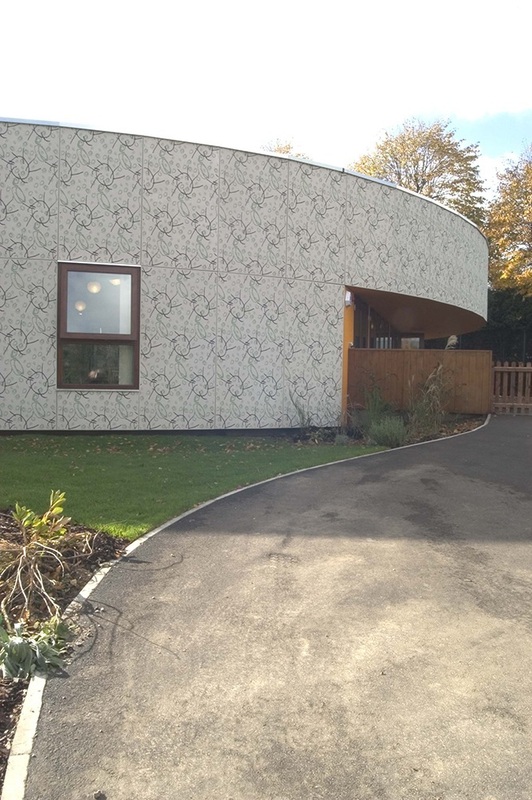 The building is located adjacent to the William Morris Museum and this inspired a screen-printed pattern, developed in collaboration with the children and local artists.